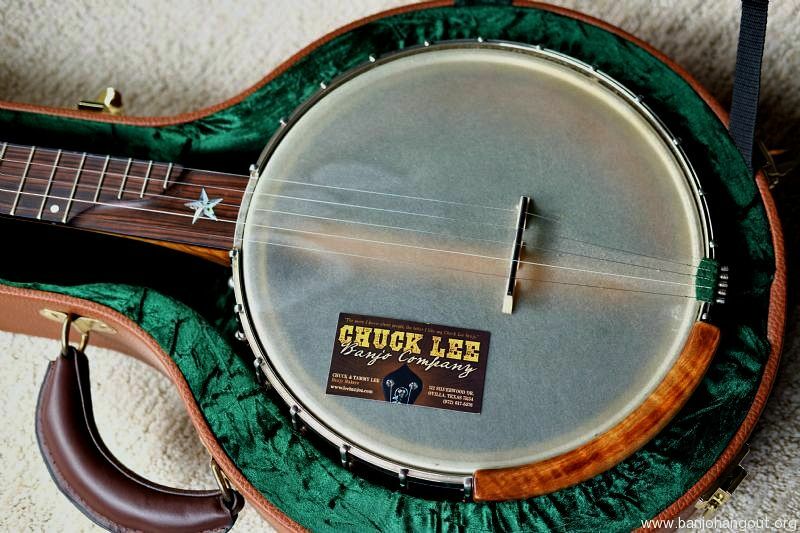 This is the 11" Custom Chuck Lee Banjo. 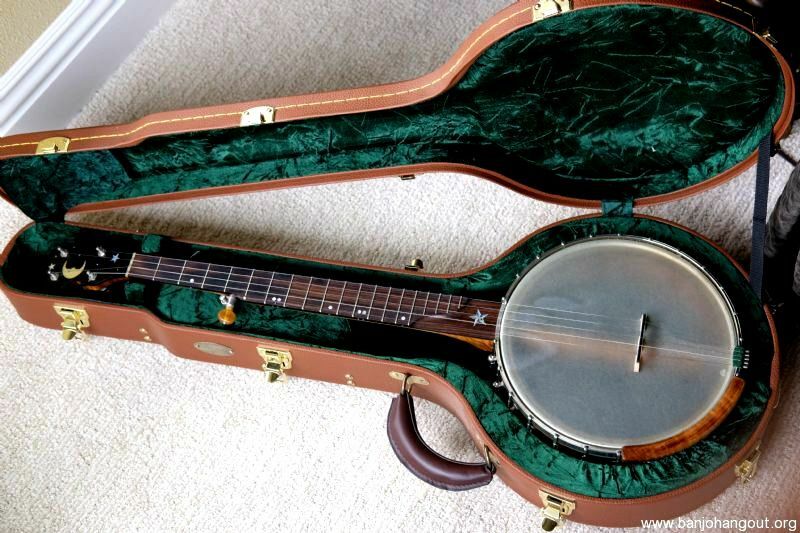 Banjo is in pristine condition. 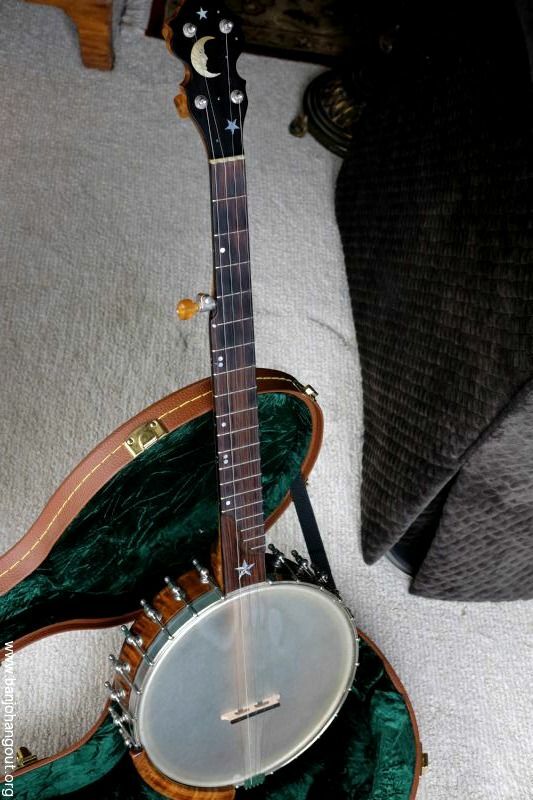 These are the attributes of this Banjo which were taken from the original order. It was custom ordered by me. 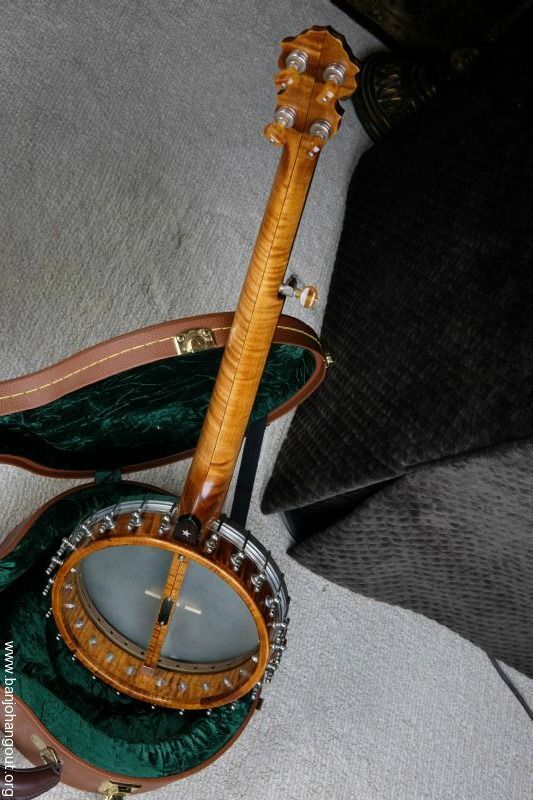 The neck is a standard G scale length at 25 ½” and made of Curly Maple with a single center veneer. 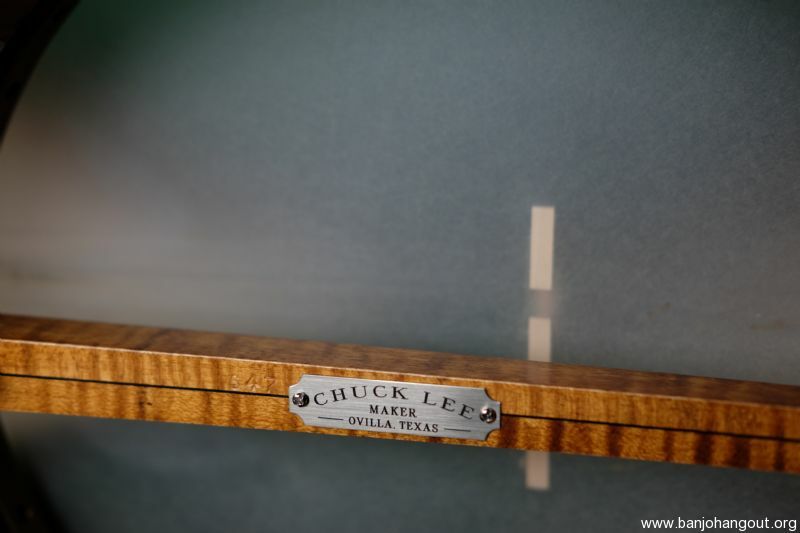 The peghead shape is the Chuck Lee's Chalk Mountain style and the heel is a Classic style heel. 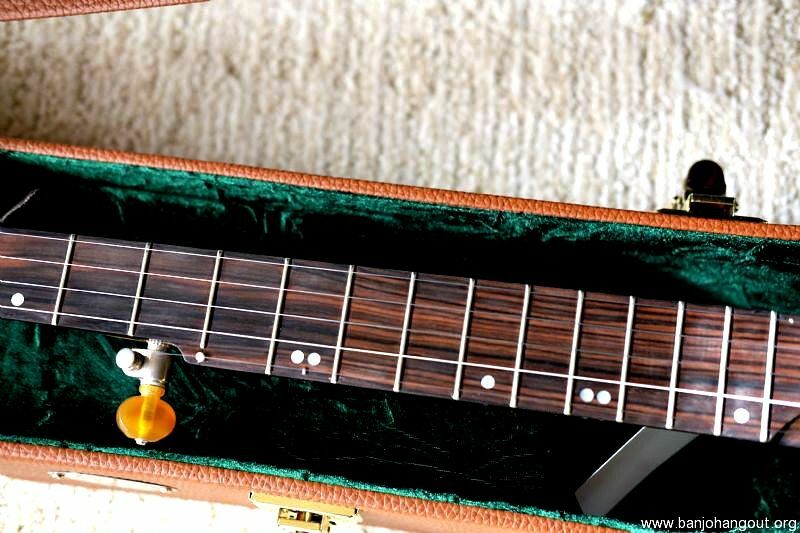 It has a beautiful heavily striped ebony fingerboard. 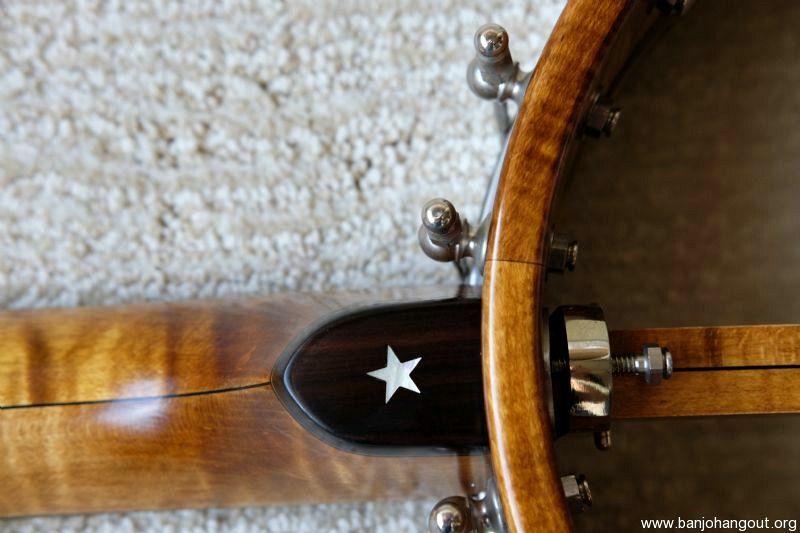 ( Striped ebony is the rarest and most prized of the Macassar ebonies. 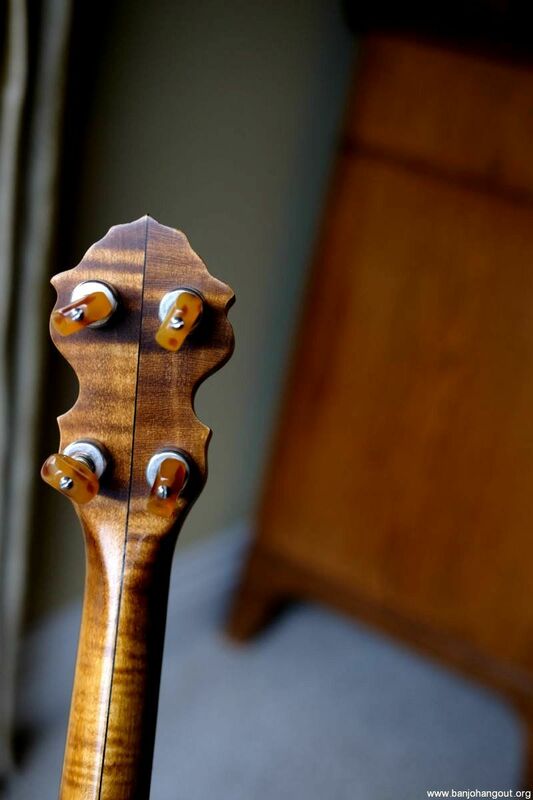 These ebonies exhibit clear, strong basses with good separation and rich overtones.) 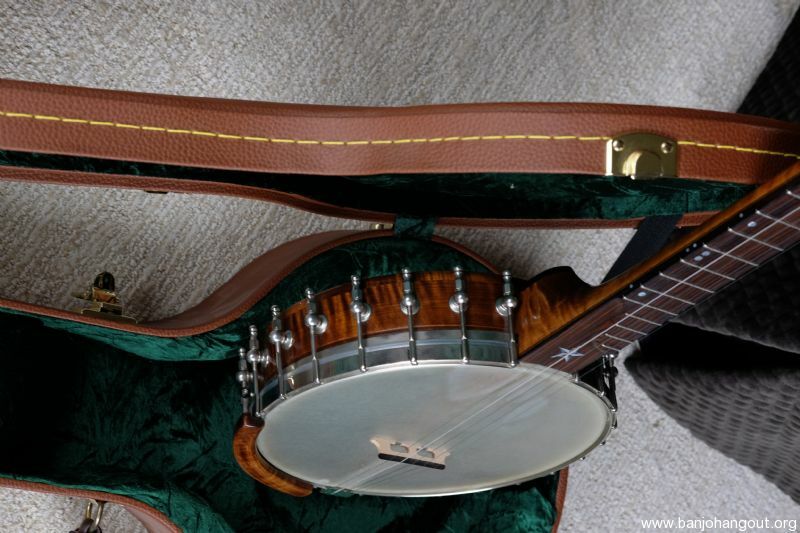 Ebony peghead overlay with contrasting veneers under both. 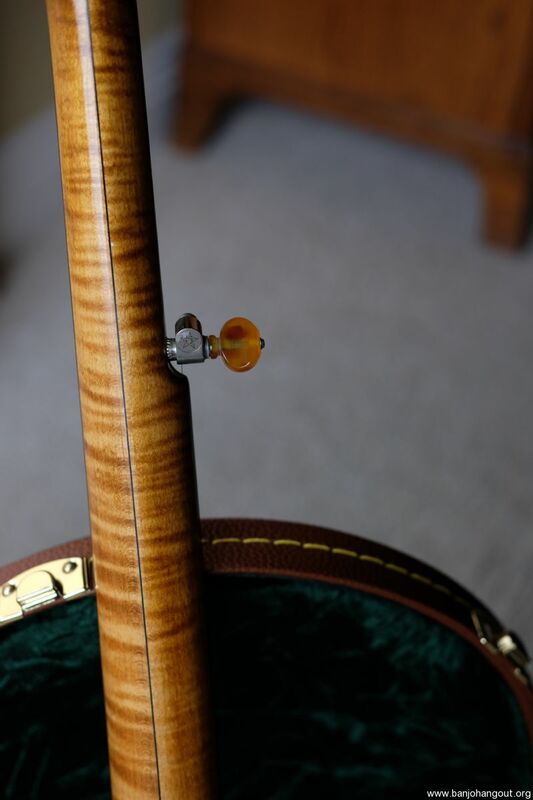 Matching curly maple armrest. 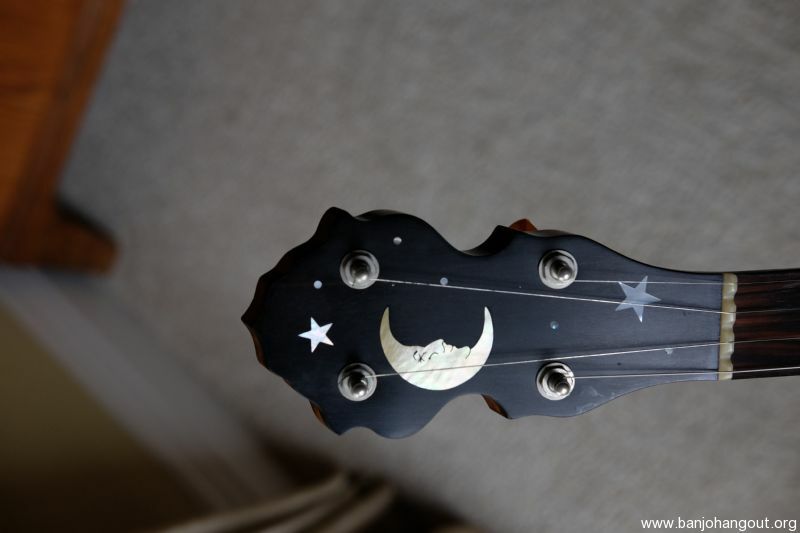 Moon & Stars inlay on the peghead. 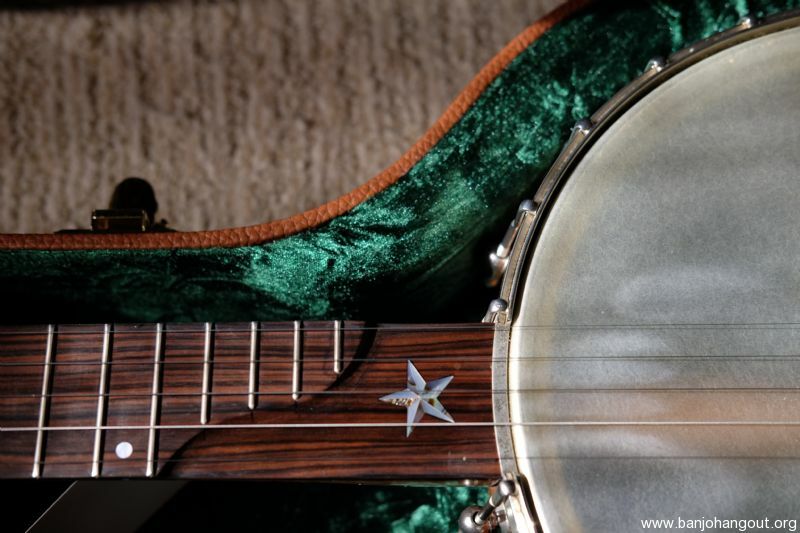 A 3-D Mother of Pearl and Abalone Star in the scoop area and a small Mother of Pearl Star in the heel cap. 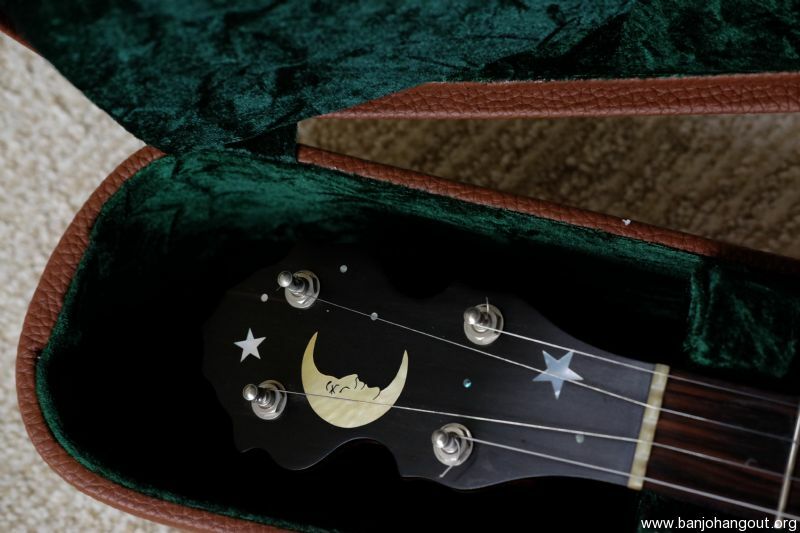 Mother of Pearl side dots at 3, 2 @ 7, 10, 2 @ 12 & 15 and Chuck Lee's Signature off-set fingerboard dots at the same frets. 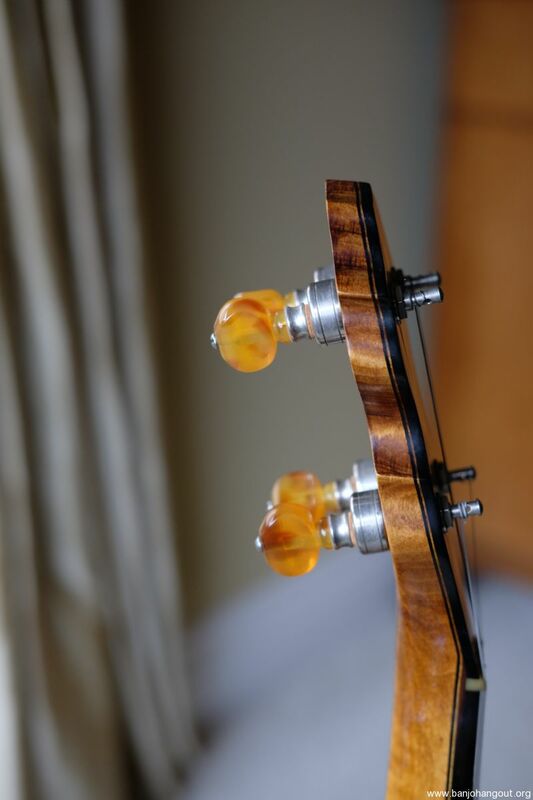 Four Waverly 2 Band Classic Tuners with Amber Buttons, and one geared right angle 5th string peg with Amber button. 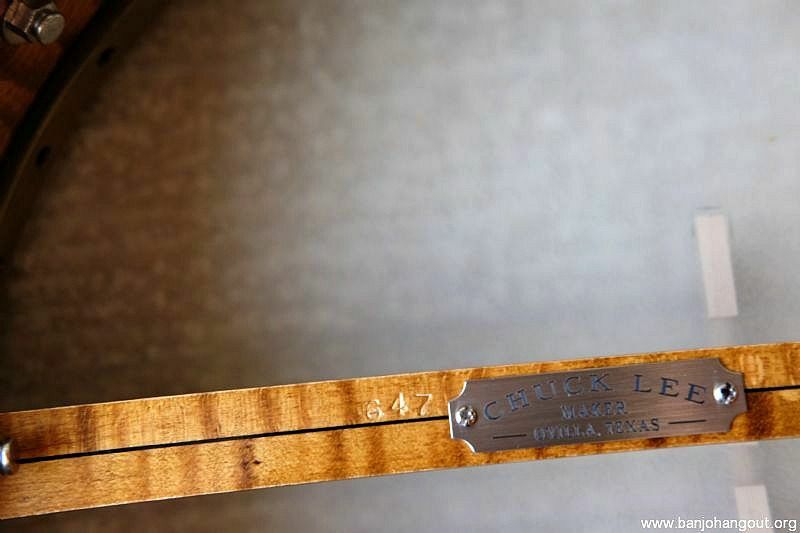 Chuck Lee's Texas Scoop (S-Scoop) after the 15th fret with four partial frets for a total of 19. 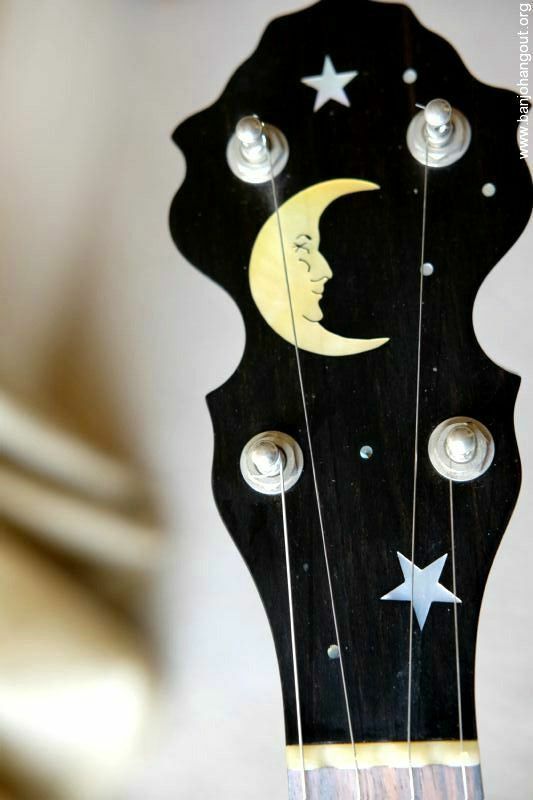 Railroad spike capo installed at the 7th fret on the 5th string. 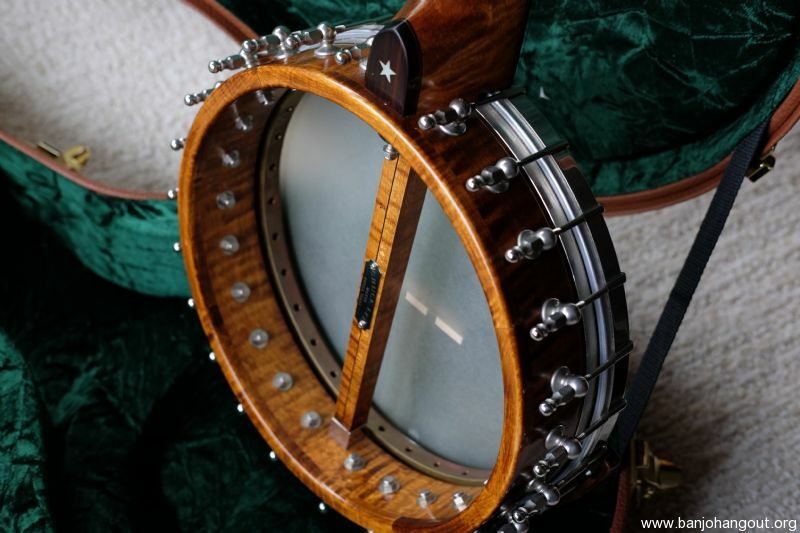 The rim is an 11" 2-ply Curly Maple. 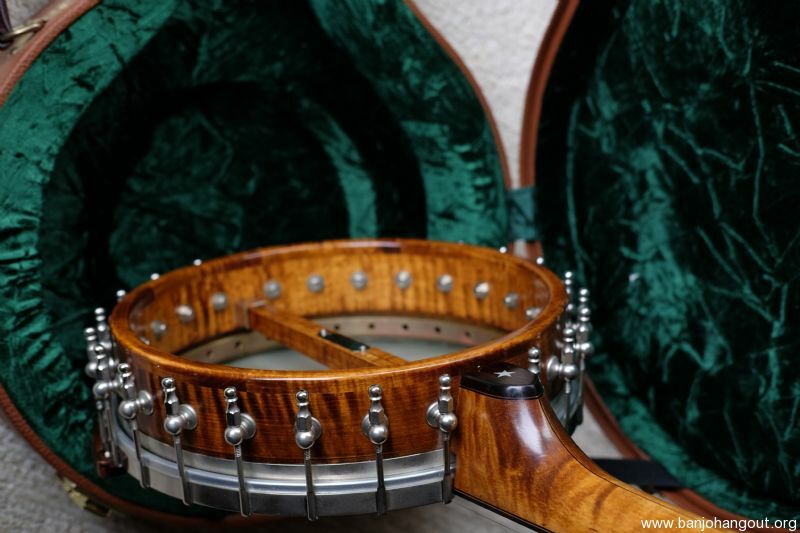 The tone ring is a Tubaphone style ring. 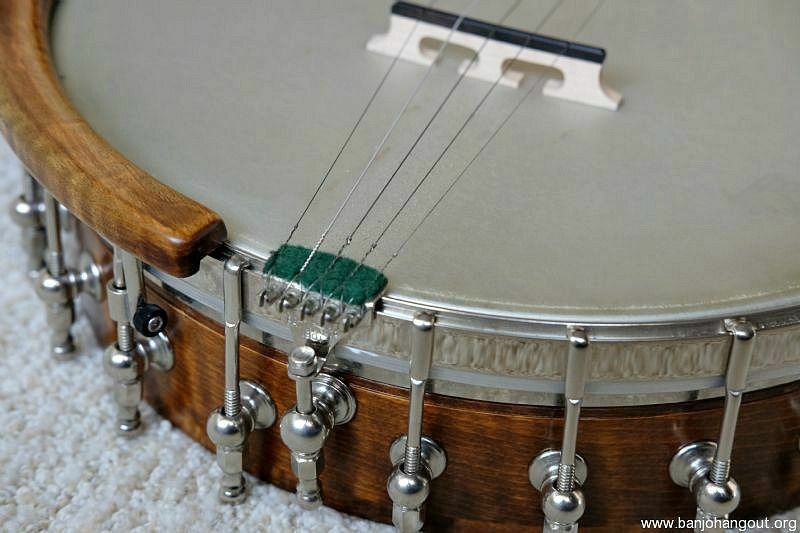 The twenty-four hooks, nuts, shoes, washer, and nuts are nickel. Renaissance head. Some slight defrosting wear on the head. 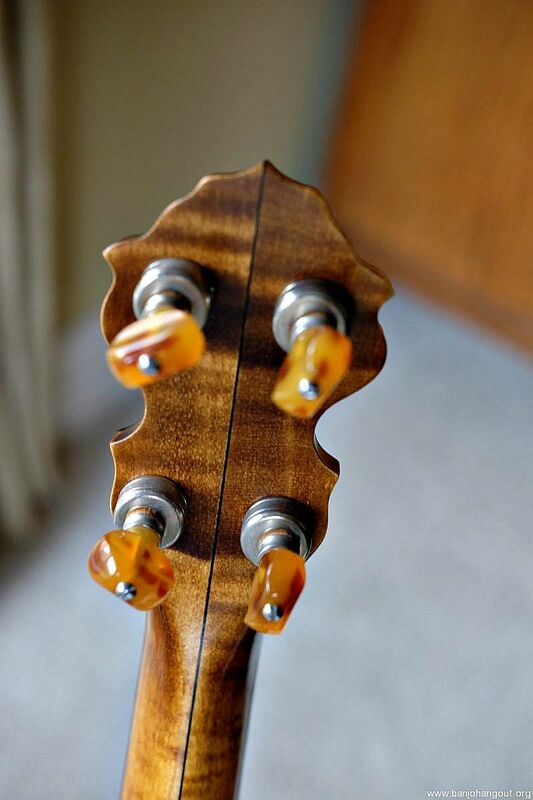 No-knot tailpiece and medium Elixir strings. 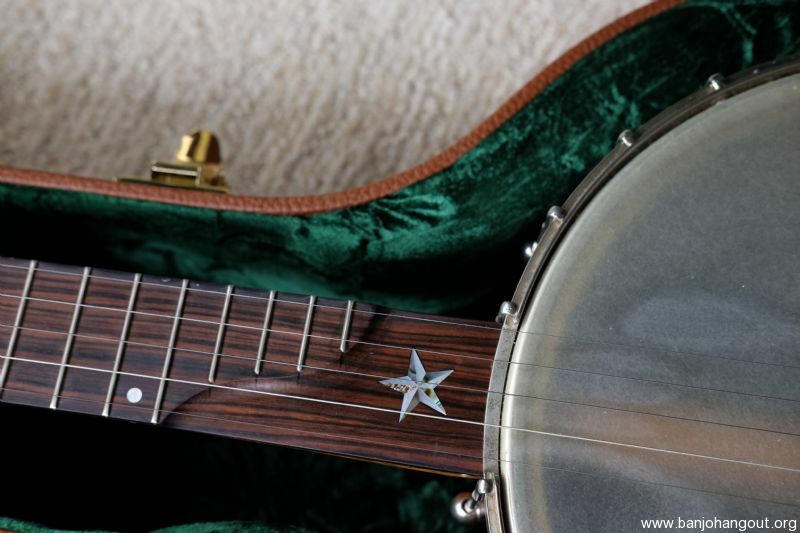 The neck and rim are stained an Antique Golden Brown with a natural oil varnish finish which also adds a slight warm amber tone to the hand rubbed stain patina. 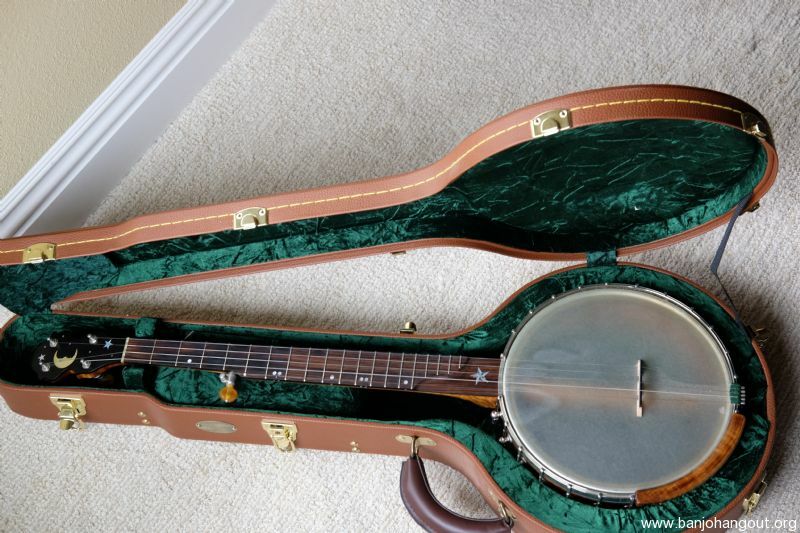 Banjo comes in a professional Superior arched top case in mint condition. 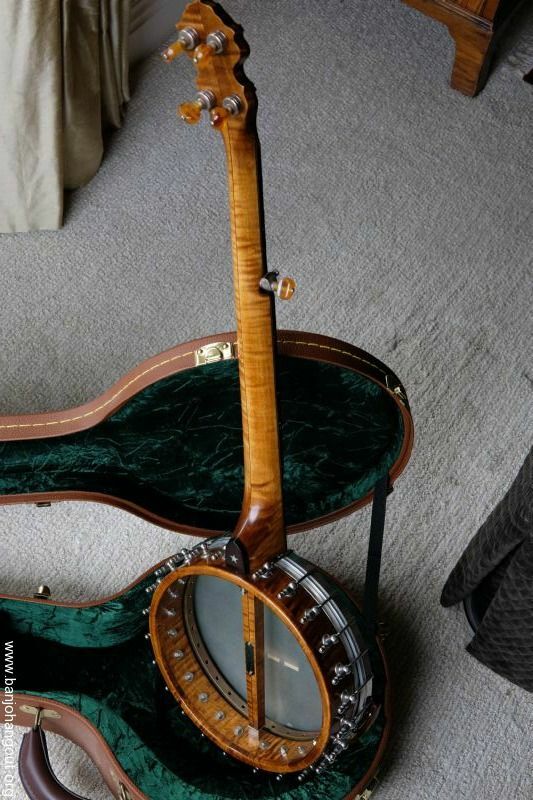 This instrument exhibits impeccable workmanship. 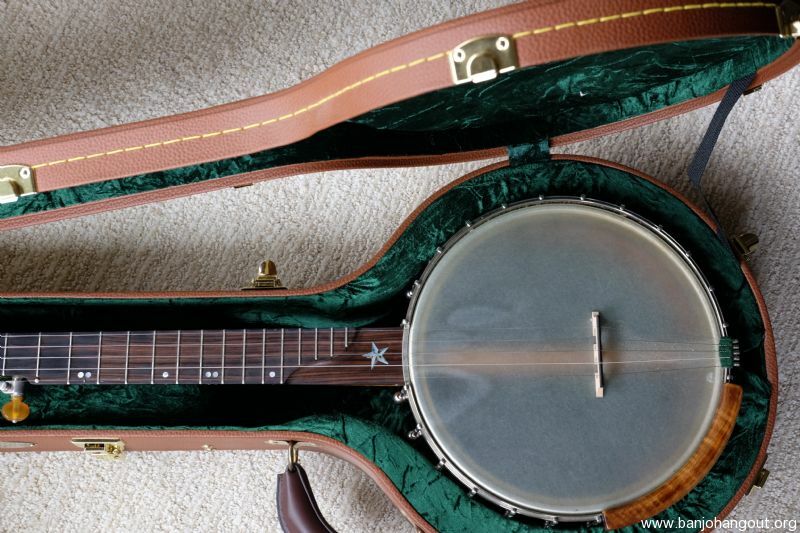 Overall, an extraordinarily stunning banjo with a big sweet sound.